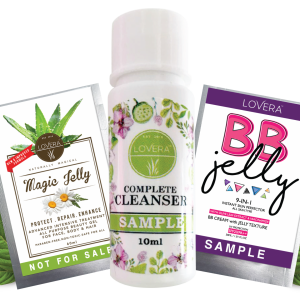 Apply day cream such as BB JELLY & Lovera Day Cream for extra protection from the sun. With consistent usage of this set , you will see changes in your skin appearance to be more glowy , moisturises , supple and firmer. Dry skin is not a problem anymore as you now have a healthy and well-balanced skin. Sebum production (oily) will reduce and skin wont feel uncomfortable anymore.